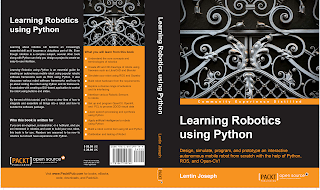 Published a Book : "Learning Robotics using Python"
I couldn't blog in technolabz for one and half year, because i was busy with creating my Start up in Robotics called Qbotics Labs and writing my new book called "Learning Robotics using Python". Lentin Joseph is an electronics engineer, robotics enthusiast, machine vision expert, embedded programmer, and the founder and CEO of Qbotics Labs (http://www.qboticslabs.com) in India. He got his bachelor's degree in electronics and communication engineering at the Federal Institute of Science and Technology (FISAT), Kerala. In his final year engineering project, he created a social robot, which can interact with people. The project was a huge success and got mentioned in visual and print media. The main feature of this robot was that it could communicate with people and reply intelligently. It also has some image-processing capabilities, such as face, motion, and color detection. The entire project was implemented using the Python programming language. 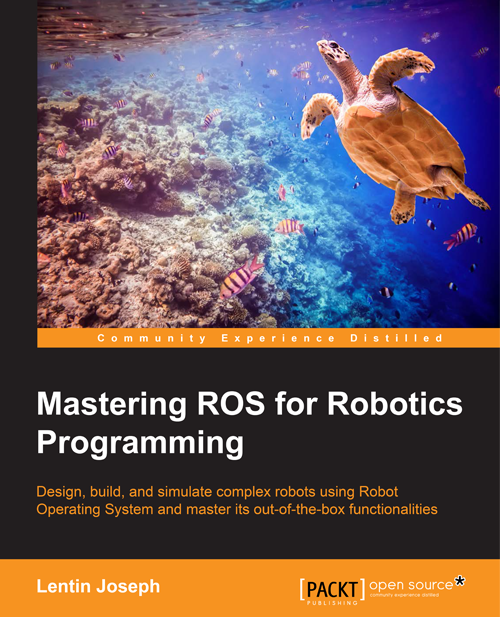 His interest in robotics, image processing, and Python began this project. After graduation, he worked at a start-up company based on robotics and image processing for 3 years. 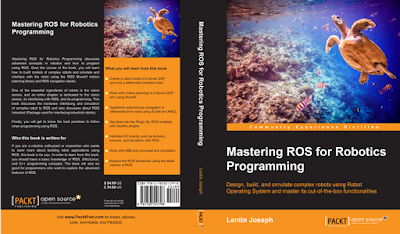 In the meantime, he learned famous robotic software platforms—such as Robot Operating system (ROS), V-REP, and Actin (a robotic simulation tool)—and image processing libraries, such as OpenCV, OpenNI, and PCL. He also knows about robot 3D designing, embedded programming on Arduino, and Stellaris Launchpad. After 3 years of work experience, he started a new company called Qbotics Labs, which is mainly focused on research to build great products in domains such as wearable technology, robotics, machine vision, green technology, and online education. He maintains a personal website (http://www.lentinjoseph.com) and a technology blog called technolabsz (http://www.technolabsz.com). He publishes his works on his tech blog. He was a speaker at PyCon2013 India, and he spoke on the topic of learning robotics using Python.